How does the the Cascade winter jacket from US brand Pactimo hold up in the UK? Straight from Colorado, the mountainous heartland of US cyclesport, Pactimo has been creating custom cycling clothing for more than 10 years. The emphasis until recently has always been on ‘custom’, and Pactimo established a successful business providing kit for clubs and teams, as well as individuals. Pactimo is branching out though, and its clothing is now available off the peg. The UK online shop features an extensive range of kit, including this Cascade Jacket. See our brand preview here. The Cascade is designed as a cold weather jacket that’s perfect for winter layering. We’ve seen plenty of near-freezing rides during December in the UK, and we’ve exposed the Cascade to some of the worst of it. The front of the jacket has a wind and water resistant material known as ‘Climabloc’. 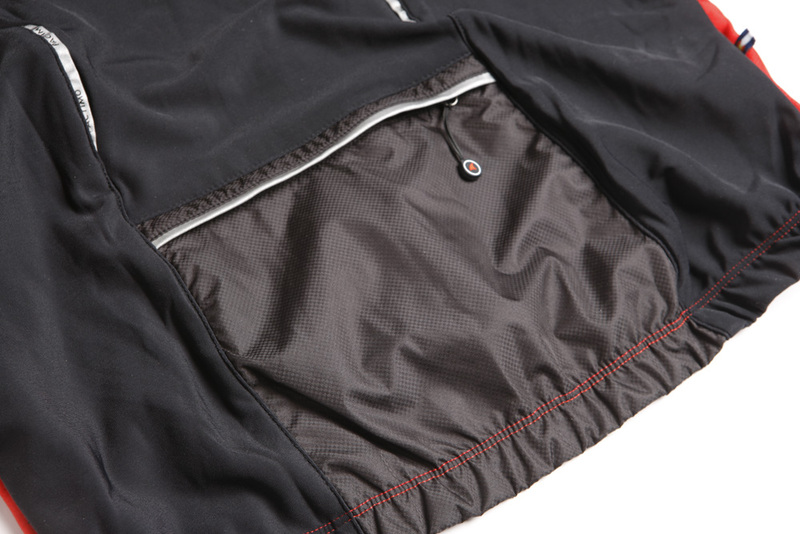 It’s a laminated membrane fabric, which should be ideal for keeping out the cold wind and rain. As you put the jacket on, it certainly feels warm. The front is multi-layered, and feels exceptionally cosy. 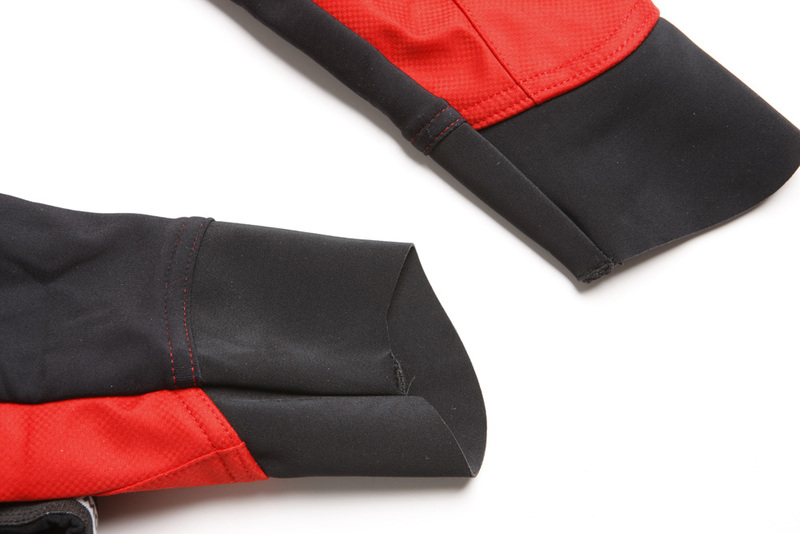 The tight cuffs and overall snug fit are just what we look for in a performance winter jacket, but the finishing on the cuffs wasn’t as good as it could be. A rough seam is exposed, which we felt rub on our wrists as we moved around. A breathable ‘Italian Milano fleece’ material makes up the whole rear of the jacket, except for a waterproof section at the bottom, where the one and only pocket is located. That one pocket is the next problem. One single pocket on a winter jacket? It’s not enough to keep a good stock of winter essentials for a long ride, which means the Cascade is only suitable when worn with a jersey underneath. That might be a blessing in disguise though, because you might need the extra layer for warmth. Pactimo’s suggestion of rides down to zero degrees is, unfortunately, a little optimistic without some serious winter layers underneath. On our first ride with the jacket in a drizzly 4-5 degrees, with just a winter baselayer for support, there was a definite cold chill evident. The windproof membrane was missing in action, and although the jacket kept the drizzle at bay, we finished an hour’s ride quite cold. We’d recommend conditions of 5 degrees and up, with a long-sleeved base layer as a starting point. If you want to go lower, on rides close to zero, a windproof base layer plus a jersey underneath are essential. The lack of wind protection was a concern on chillier days, but the Cascade is very breathable, which makes it great for high-tempo training rides. For more details, see the Pactimo website. 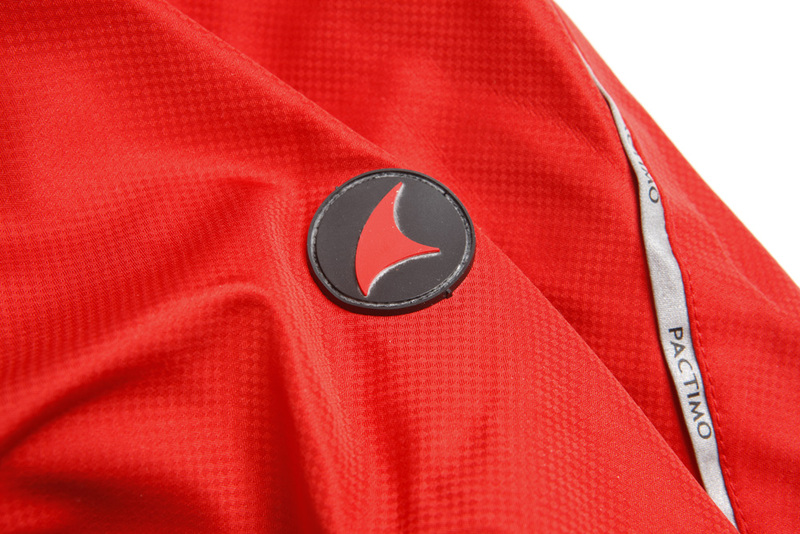 The Pactimo Cascade jacket was almost a real winner, but it's let down by a few niggles. It's a versatile jacket with good potential for comfort during serious training. The snug fit and breathability are its biggest assets, but the windproofing is poor and it faces tough competition at the £100 price point.